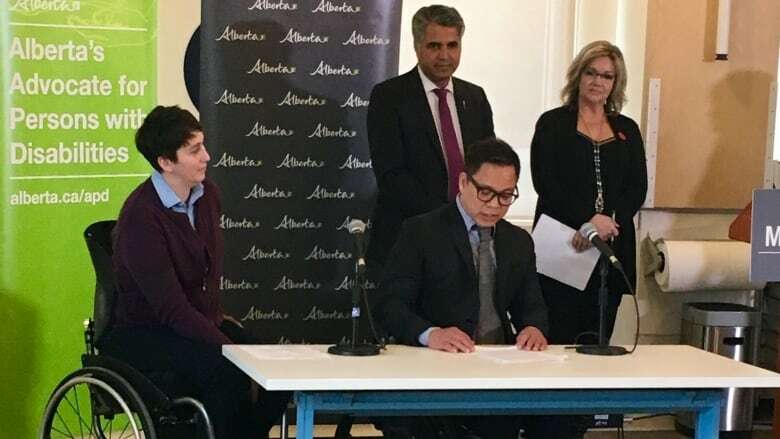 For the first time, Albertans with disabilities will have an advocate dedicated to "helping them resolve issues, find supports and promote inclusion," the provincial government said in a news release Tuesday. Albertans with disabilities for the first time have an advocate dedicated to "helping them resolve issues, find supports and promote inclusion," the provincial government announced on Tuesday. Tony Flores, an international para-athlete, has been selected for the position. "As a person with a physical impairment myself, this is an exciting time," Flores said in a news release. "We now have a voice." The provincial government allocated $1 million in the 2018 budget to establish the office, which will officially open in mid-November. "I encourage any Albertan with a disability and their family or caregivers to request assistance from myself and my staff, share concerns, and learn more about their rights," Flores said. "We are here to listen and to help." Flores has extensive experience working with a non-profit organization, and has volunteered locally and internationally to mentor and coach athletes with disabilities, the release said. "Mr Flores is a dedicated and passionate advocate whose story is an inspiration to all Albertans," Irfan Sabir, community and social services minister, said in the release. "I am confident in his abilities for this important role and hope this office will play a key role in helping people access supports and improve services." In December 2015, Alberta Human Services undertook province-wide consultations about the Persons with Developmental Disabilities system. The survey resulted in 11 recommendations to improve services and accessibility. Those recommendations, released in October 2016, included the creation of an independent disability advocate office. Legislation to create the position was passed in 2017. During consultations last spring, more than 1,300 Albertans provided input on the role, responsibilities and priorities for the advocate's first year of work.